It is common knowledge that everyone should indulge in a balanced diet, but pulling it off is another matter. Eating right is equally important for kids, adults and the elderly. Yet, there is no generic definition of a perfect diet. This is primarily because nutritional requirements vary from person to person. Lifestyle, health, and various other factors determine our exact nutritional requirements. The most basic principle of a balanced diet is that you should not consume anything in excess. This is true for carbohydrates, proteins, fats and fiber. More specifically, a low carb diet is one where the aim is to drastically reduce the intake of any food that is high in carbohydrates. It should be noted that there are healthy and unhealthy carbohydrates. While complex carbohydrates such as oatmeal, brown rice, and sweet potatoes can be consumed every day, unhealthy carbohydrates such as white bread, pasta, and most baked goods should be limited. But is all this effort to watch carbs really worth it? 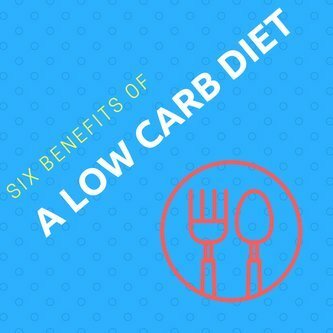 Here are six benefits of a low carb diet. Your blood sugar will be effectively regulated. People who do not consume too many carbohydrates are actually at reduced risk of developing type two diabetes. There is an exception to this. Those who have issues with low blood sugar should not avoid carbohydrates entirely. They should have limited quantities of healthy carbohydrates regularly to maintain a healthier level of glucose in the blood. A low carbohydrate diet can help you to lose weight. Unless you are a long distance runner or do strenuous exercise more than an hour every day, your body does not need a lot of carbohydrates. Those who are into aerobic exercises or cardio workouts should consume healthy carbohydrates every day to avoid fatigue. On the other hand, those who live a sedentary lifestyle have a much greater likelihood of becoming obese under a medium-to-high carb diet. A low carb diet is better for the digestive system. Carbohydrates have very few micronutrients. They do not add to the good bacteria in the intestines that are necessary for a healthy digestive system. Good bacteria also contribute to immunity. A diet rich in carbohydrates will inevitably reduce the intake of other nutritious foods that would provide the micronutrients and good bacteria needed for optimum health. A low carb diet will lead to a stronger heart and prevent various types of cardiovascular diseases. Simple carbohydrates such as sugar or even the processed foods like butter, cheese and other calorie rich foods clog arteries and can cause serious ailments. A low carb diet is beneficial for those who suffer from different types of inflammations. Any inflammation in tissues will tend to worsen if the cells get access to too much sugar. You will enjoy a better metabolism with a low carb diet. When you consume too many carbohydrate, your metabolic rate suffers as it has enough energy available to keep you going, and hence you experience cravings, but not an actual need for nutrition or calories. This adversely affects the metabolic rate and induces cravings.